For many years, American and British leaders tried to find a quick and cheap way to ship goods between the Atlantic and Pacific coasts. The idea to build the Panama canal came from Vasco Núñez when he discovered the narrow land bridge Isthmus. This patch of land surrounds the now Panama Canal, a passage of water linking the Atlantic and Pacific Oceans. Throughout the 1800s there were many attempts to build a canal connecting these two points, but most failed dramatically. In 1805 Great Britain and the United States negotiated the Clayton-Bulwer Treaty to see who would have rights to the proposed Anglo-American Canal. The plan was to run the canal through Nicaragua, however, the proposed canal never got past the planning stages. It wasn’t until 1880 when the French leader Ferdinand de Lesseps, the builder of the Suez Canal in Egypt, began excavations, that there was any sign a canal would come to be. Unfortunately, fate was not on his side. Ferdinand and his crew faced many tropical diseases such as Yellow Fever and Malaria, and after 9 years had lost over 22,000 men. After this horrific ordeal, the French project went bankrupt and building ceased. With the French facing a huge debt with nowhere to turn, it was President Roosevelt that offered them a solution. After much debate in the United States about the location of the proposed canal, it was Roosevelt that pushed through the land in Panama that the French has previously been working on. In June 1902, the Spooner Act was signed, and the US purchased the land in Panama from the French for $40 million. 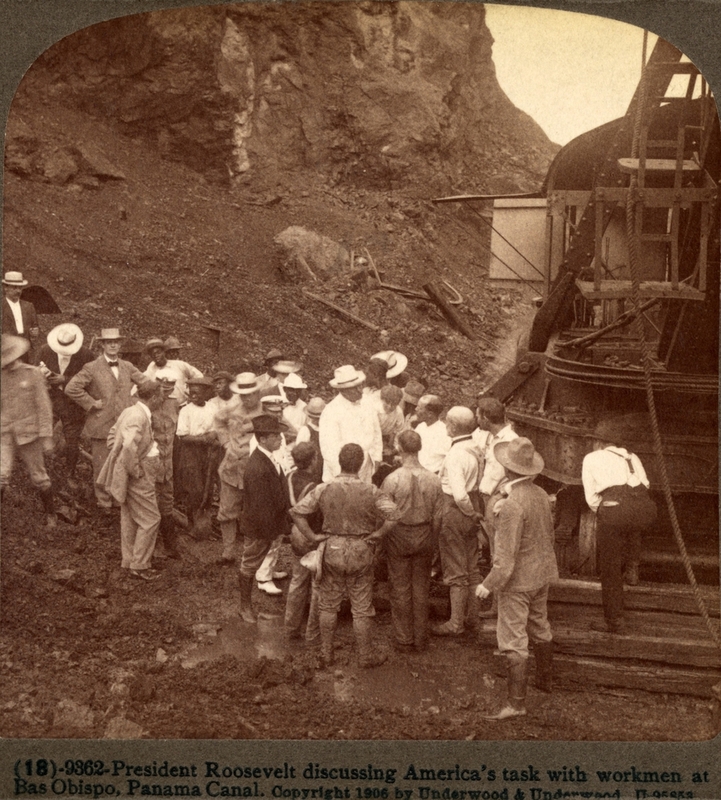 At the time of purchase Panama was part of Columbia, so Roosevelt began negotiations with the Columbians to obtain the rights to build the canal. However, Roosevelt has no luck in his endeavors until Panama won its independence from Columbia on the 3rd of November, 1903. After this time, the Panamanians handed over control of the Panama Canal Zone to the United States for the healthy sum of $10 million, plus an annual annuity of $250,000. On the 18th of November that same year, the Hay-Bunau-Varilla Treaty was signed, and the US began work on the Panama Canal. The United State’s plan was to adopt a stratified workforce, with high-level skilled labor jobs going to white Americans, and the low-level manual labor jobs being given to cheap immigrant workers. They initially chose workers from Spain, Greece and Italy, however, most of these workers were radical militants and were eventually replaced by a British and French workforce. After all the preparation and mending of the leftover French equipment was complete, George Washington Goethals took over the construction of the canal. He divided the work into three major divisions: Atlantic, Central and Pacific. The work in the Atlantic division was overseen by William L. Sibert, the Central by David du Bose Gillard and the Pacific by Sydney B.Williamson. By 1907, 1 million cubic yards of land were being excavated per month, and at the peak of production a whopping 3 million cubic yards were being moved. Four dams were also being constructed during this time, with lengths between 150m and 2,300 meters, to create the all important Gatun and Miraflores Lakes. The next step in this mammoth construction was the locks. The first lock was built on August 24, 1909 in Gatun. 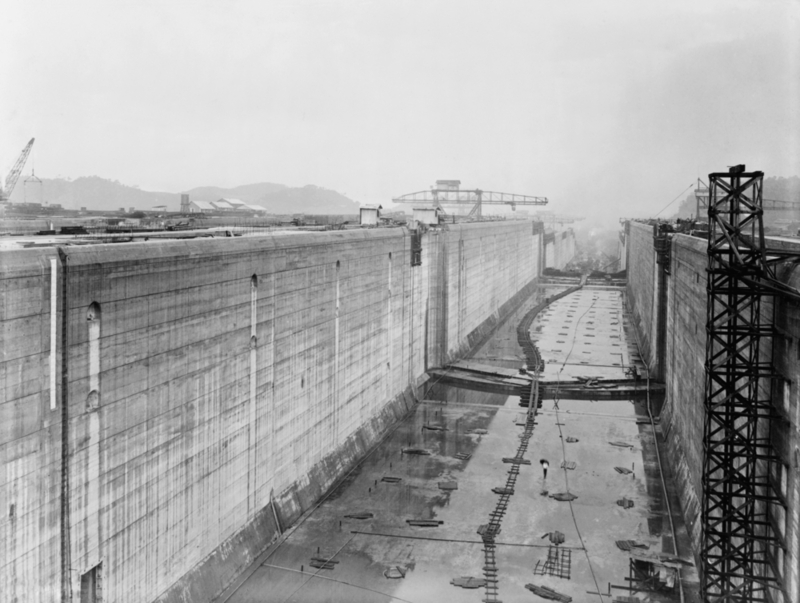 The locks were each made of over 1 million cubic meters of solid concrete, a huge feat at the time of construction. 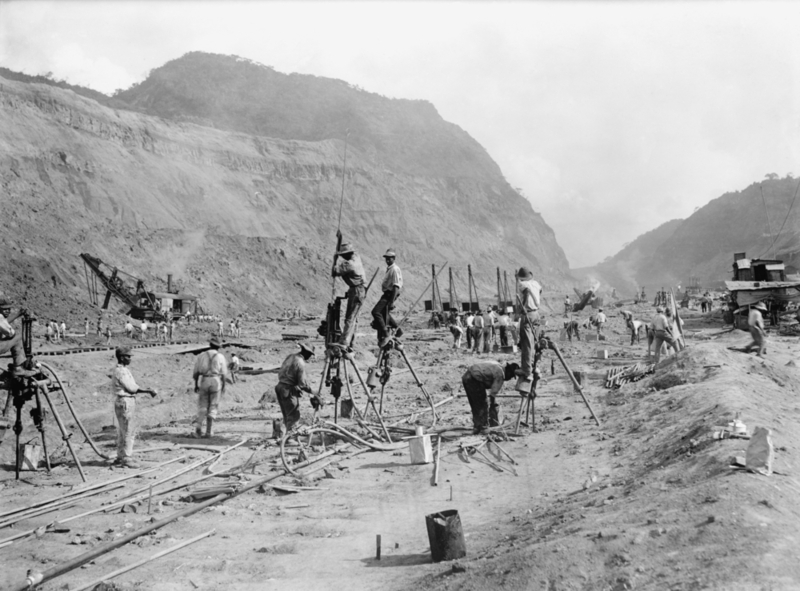 Finally, on October 10, 1913, the temporary dike at Gamboa was demolished, officially opening the Panama Canal. The very first ship to sail down the canal was the Alexandre La Valley, an old crane boat from France that was slowly working its way across the Atlantic-Pacific divide during the final stages of construction. 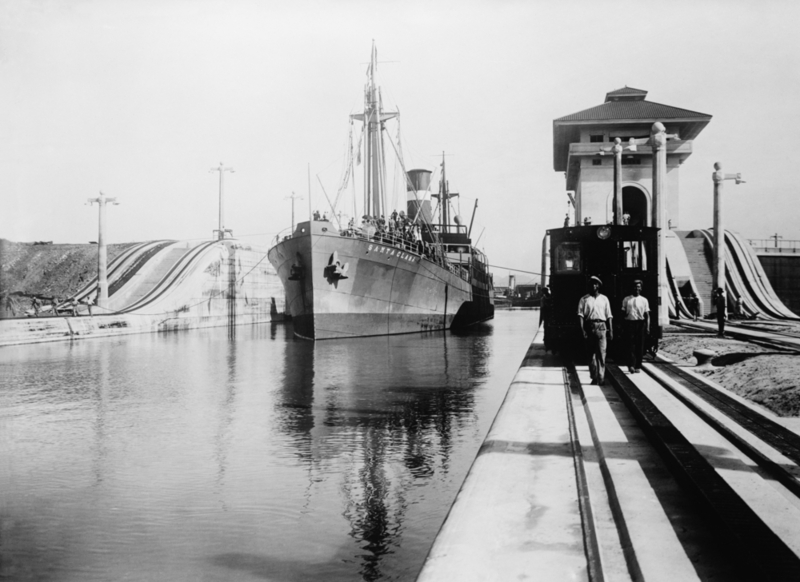 The Panama Canal was an extremely important asset to the United States, both strategically and economically. The canal rendered the Drake Passage and Cape Horn useless, and cut 7,800 miles off the important shipping route from New York to San Fransisco. A total of 75,000 people worked on the construction of the Panama Canal, and over $375 million was spent to bring this technological marvel to life. 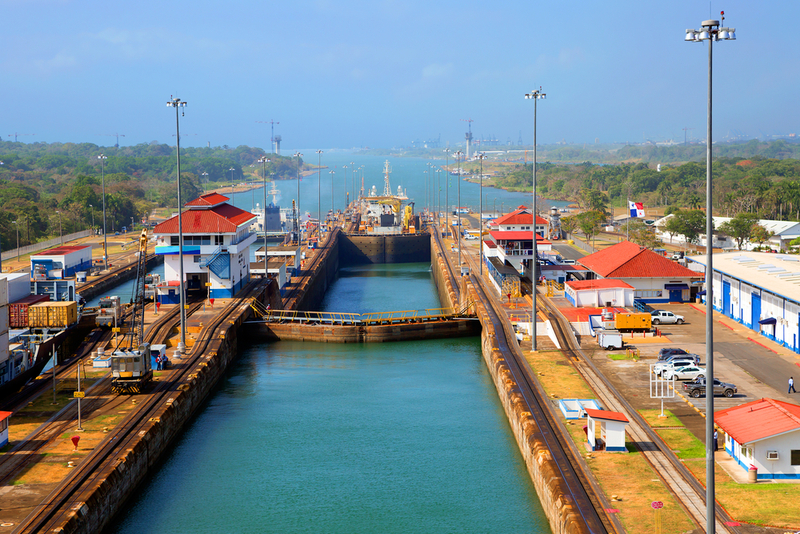 The Panama Canal, the connection between the Atlantic and the Pacific Ocean, is one of the highlight of Panama. Enjoy the remarkable environment of Panama without the hoards of tourists. Explore the rest of Central America during one of our amazing Central America Tours.